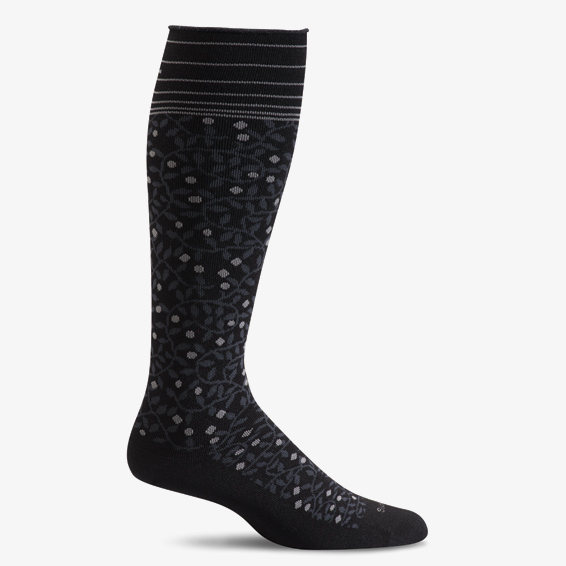 This New Leaf Therapeutic Style women's graduated compression socks are a Firm 20-30 mmHg compression level. High performance & luxurious cashmerino rayon from bamboo provides natural odor control, thermoregulation & moisture management. Four zones of graduated compression promotes circulation, minimizes swelling, and reduces fatigue.